A portrait of Smoktunovsky as Mozart in Rimsky-Korsakov's opera, Mozart and Salieri. Smoktunovsky'sexpression exudes a confident and mischievous manner that is, in a word, Mozartian. Screenshot by Sherry Davis. Mozart's writing for the voice, his understanding of its psychology and musicality along with his dramaturgy of character is unparalleled, and yet, his own voice is not often considered or explored as playing a role. Mozart as vocalist has been a subject of my fascination (and imagination!) since the time I began listening to his operas. The human voice was central to his art and his very being. Mozart sang on tour as a child prodigy, and as he matured from boy soprano to light tenor, his voice was utilized leisurely and professionally throughout his life, even in his final days for readings of his Requiem. He rehearsed singers, advised them about how to execute passages and explained characterization. He had almost as much influence on the libretto as he did the music. Mozart was actively engaged, not aloof, and vocal expression was an integral part of his musicianship. There are many accounts of Mozart taking up his voice with friends and family, whether singing through his operas, scatological cannons, or conversing in recitatives. It's a shared dream amongst Mozartians to hear the master at the keyboard, but with equal curiosity and enthusiasm, I'd be very keen to hear his voice, his lesser known avenue of melody. Whenever I hear tenors singing in his operas, I always imagine Mozart singing these roles himself in the compositional process, or as parodies after he's had a few glasses of punch! I can easily envisage him as being similar to one of the vocal coaches from my young artist program, who so passionately and energetically accompanied the vocalists as though he were sparring, and all for the good of the artform. Mozartian, indeed! 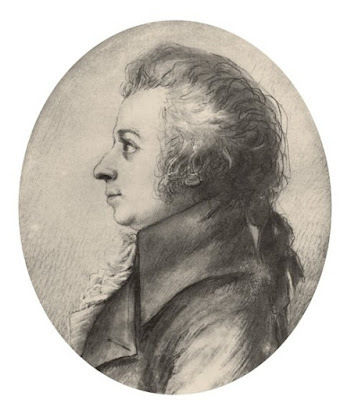 In the words of Mozart's widow Constanze, as recorded in the Novello diaries (1829), "His voice was a light tenor; his speaking tone gentle, unless when directing music, when he became loud and energetic." Constanze also recalled the time when she and Mozart sang the Act III quartet Andrò ramingo e solo from his opera Idomeneo with his father and sister during their visit to Salzburg. Mozart "was so overcome that he burst into tears and quit the chamber, and it was some time before I could console him." Michael Kelly, the Irish tenor, recalled in his memoirs, Reminiscences, that when he visited Mozart during the writing of Figaro, he introduced him to a duet he was working on and they sang it together. The duet was Crudel! Perché finora (Cruel girl! Why did you let me languish so long?) between the Count and Susanna. In these known accounts, Mozart never fails to surprise us with his vocal adventurousness and versatility. In addition to showcasing his precociousness as a composer, keyboard player and violinist, Mozart also performed on tour as a boy soprano. Image: Color Lithograph (19th Century) by Vincente de Paredes, Bibilotheque Nationale, Paris. In the 1976 film, Mozart: Aufzeichnungen einer Jugend (Mozart: A Childhood Chronicle), the child prodigy sings, and this is a rare instance in which performance art emphasizes Mozart as a vocalist. Although Mozart is a character and not technically a singer in the one-act opera, Mozart and Salieri, composed by Nikolai Rimsky-Korsakov in 1897, it grants us license to imagine a Mozart in profile and voice type. Fictional plot aside, my primary fascination with this work is a performer's ability to capture the likeness of Mozart found in the accounts of his family, friends and other contemporaries. I've seen different interpretations of this work on film, including the English translation on Broadway in the 1980s with the Chamber Opera Theater of New York, but when I discovered Sergei Lemeshev as Mozart and Alexander Pirogov as Salieri, I knew I had found the definitive work. "He was a modest and quiet artist. His voice reminded me of an Amati violin," Nikolai Bogolyubov, Director of the Opera Theater of Sverdlovsk, stated of the beloved Russian lyric tenor Sergei Lemeshev in his memoirs (Source: Sergei Lemeshev: His Life and Voice). As I discovered the man who's artistry transcended the scratchiest of old recordings and videos, so purely and beautifully, I could hear the crescendo of Bogolyubov's words. His reference to Lemeshev's voice as instrument (Amati violin) and to instrument as voice, afterall, is the very essence of Mozart. It has to be one of the greatest compliments a singer can ever receive and Lemeshev was certainly deserving. His technique was superb, his voice poetic, radiant. Like Mozart, he had a delicate voice, but it was powerful when necessary. A tenor like Lemeshev is rare today. It's lamentable that he never performed or recorded any of Mozart's operas (perhaps due to limitations of being behind the iron curtain), but how fortunate we are that his golden voice was used to even greater effect as the Maestro himself. Pursuing interpretations of Rimsky-Korsakov's opera led me to discover Lemeshev, an artist I might not otherwise had known. I'm captivated by his voice and his story. Rising from an impoverished family to such renown (his work ethic was apparently impeccable), he then overcame the challenge of singing with one lung after contracting tuberculosis. He recorded Mozart and Salieri with this condition amongst other works, but his adaptation is so seamless that it isn't noticeable to the ear. Of Lemeshev's early footage, my favorite videos are his performances of M'appari and Questa o quella and La donna e mobile (in Russian translation!). His legions of fans were often referred to as "Lemeshevists" and I'm proud to join their ranks. For all of our limitations, there will never be an authentic portrayal of Mozart in performance art, but Lemeshev's depiction is a revealing and sensitive portrayal based on the authenticity of character. The 1947 recording has been digitally remastered and is available on Amazon and iTunes. Written in 1897, Rimsky-Korsakov's opera is largely based on the 1830 drama of the same title by Alexander Pushkin. Russian opera is generally dark and focused on realism, which in this case, all the more illuminates the character of Mozart, both vocally and dramatically. The contrast of Mozart's lyric tenor in opposition to Salieri's ominous bass indulges in and satisfies the plot. The 1947 recording with Lemeshev and Pirogov marked the opera's 50th anniversary and is available (digitally remastered) on Amazon and iTunes. *Note: The video of this performance is in Russian and does not have subtitles, so in addition to my commentary on select scenes, I encourage you to read the translation by Alan Shaw prior to viewing. In the first eleven minutes, Salieri's dialogue is dismally reflective as he sings of his lifelong musical servitude and how his honorable reputation is compromised by his envy of Mozart. *Cue video at the 11 minute mark. 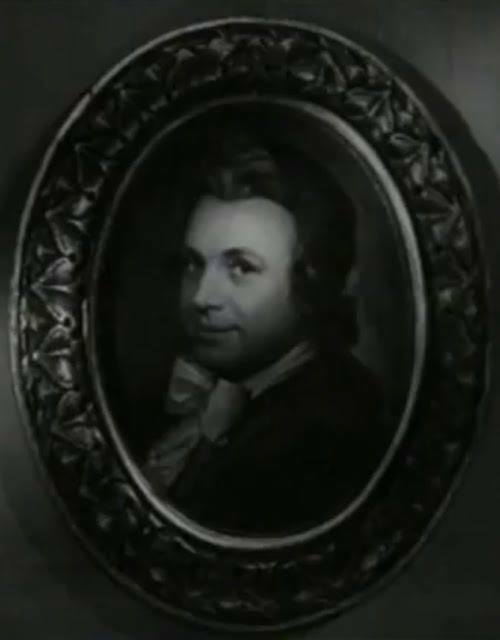 As Salieri glares at Mozart's portrait (Lemeshev), Mozart enters with "Aha!" startling Salieri and piercing the otherwise somber scene like a spire of magnetism. From this opening scene and beyond, Lemeshev transports us with moments of authentic manner described by those who knew Mozart personally. "In the circle of his good friends, he could grow quite merry, lively, witty and even at times and on certain subjects satirical!" (Johann Nepomuk Hummel). As Mozart (Lemeshev) swoops in and slides across the floor, opening the curtains of the darkened room, he tells Salieri that he was hoping to surprise him with a little joke. He was passing a tavern and never heard anything so funny, a blind fiddler playing his Voi che sapete, an aria from Figaro. "I had no choice, I had to bring him here to treat you to the pleasure of his art!" As Mozart leads the fiddler into the room, he smugly makes a request. "Play us something good from Mozart, would you?" As we know, especially from his letters, Mozart was never at a loss for exuding confidence. When the fiddler begins to play Batti, batti, o bel Masetto, the aria from Don Giovanni where Zerlina resigns herself to punishment from Masetto for her indiscretion, Lemeshev displays anxious and excited energy with busy hands, curiosity and laughter. Mozart was very theatrical. He loved dancing. "His hands and feet were always in motion," recalled Constanze's sister Sophie Haibel. Smoktunovsky as a vulnerable and transcendent Mozart at the keyboard. Salieri is offended rather than amused by Mozart's joke. "When Raphael's Madonnas are defiled by worthless daubers, I do not find it funny." The expression on Lemeshev's face is no longer playful, nor does it bear the look of one receiving criticism from a colleague. Rather, it's a much deeper and psychological reaction, reminiscent of a child being reprimanded for misbehavior. 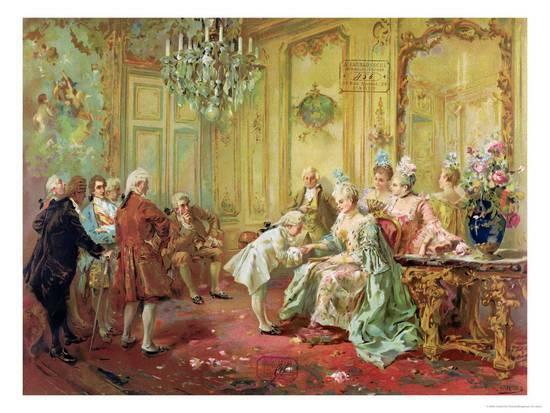 It harkened to the days of Mozart's life when exploitation as a child prodigy by his father meant no childhood. I really thought this moment of transference was superbly played. A defeated Mozart dismisses the fiddler, "Wait. Take this, and drink to my health." Salieri (Pirogov) appears stunned that his words have taken such an affect on a man he so deeply envies and refers to as a God. Mozart's sensitivity, especially as a child, is well-documented, and Lemeshev communicates it with convincing subtlety through disposition and voice. After the fiddler leaves the residence, Mozart plays a new piece for Salieri. As he describes its premise and begins to play, Mozart becomes lost in a world of his own. Even those who noted Mozart as being average in attractiveness noted his remarkable transformation in performance. Throughout the opera, Lemeshev weaves a spectrum of emotion to great effect, emphasizing the dichotomy of Mozart's personality. Sophie Haibel's account of Mozart again applies to Lemeshev's acting: "He was always good-humored, but even at his most good-humored he was very pensive, looking one straight in the eye, yet when pondering his answer to any question, whether it be gay or grave, he nevertheless seemed to be working away in deep thought at something quite different." Lemeshev, quite appropriately, shifts between mischief and decorum, felicity and melancholy, restraint and imagination, with his pure, expressive voice. In this sense, Mozart was similar to his operas in that he was never entirely all comedic nor all serious. Again, Hummel: "His physiognomy had much that was pleasant and friendly, combined with a rather melancholy graveness; his large blue eyes shone brightly." Salieri invites Mozart to dinner and he accepts the invitation. "He was kind-hearted and always ready to oblige," noted Michael Kelly of Mozart. When Mozart leaves, Pirogov (Salieri) becomes the embodiment of such a wretched character, elaborating on his plan to poison Mozart that evening, a man he both worships and detests. *Cue video at 28 minutes. At dinner, Mozart appears disheartened and tells Salieri of his Requiem. "He gives me no rest night or day, my man in black. He's everywhere behind me like a shadow. Even now he seems to sit here with us as a third." He's startled as a shadow moves across the wall. Again, Lemeshev's acting is splendid. When Salieri hands him a glass of wine (with poison), Mozart offers a toast of irony: "To your health, my friend, and to the loyal bond that binds us together, Mozart and Salieri, sons of harmony." Salieri tries to take the wine from him in a desperate attempt to reverse his action, but Mozart drinks the entire glass. Salieri is already remorseful. Mozart goes to the keyboard to play his Requiem, his face full of fear, paranoia and resignation, sentiments that Mozart himself expressed to his wife in those final weeks when he believed he'd been poisoned. The rumor that Salieri poisoned Mozart began with Salieri's alleged admission to the crime in an asylum in his old age which he then recanted before his death, a rumor that reached even Beethoven. Although untrue, the rumor became artillery for dramatists, paving the way for works such as Mozart and Salieri. Authentic (drawn from life) silver-point drawing of Mozart by Doris Stock. Dresden, 1789. 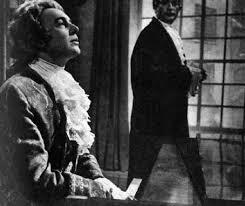 Salieri asks Mozart to continue playing, but he declines, bidding him farewell. "I'm not well just now. Something oppresses me. I need to sleep. Farewell." Tears stream down Salieri's face as he looks out the window. "Your sleep will be a long one, Mozart." As he passes the blind fiddler on his way home and walks down the snowy lane, he turns around one last time, casting an almost eerie profile of the ailing Mozart, which bears an uncanny likeness to the authenticated silver-point drawing by Stock, one of the last renderings of Mozart from life (1789). It is the darkest of endings, but through an informed approach to the role, accompanied by his tenor of exquisite beauty, Lemeshev imagines for us the light and shadings of the master, a vulnerable, yet transcendent man. I once again find myself overcome with emotion reading one of your articles. It is the love that your words exude and the beauty in the stories you tell that leave me no other option. I am grateful for it all! Thank you, Debbi! I'm delighted that you enjoyed this rare piece of Mozartiana! Lemeshev's manner, which is clearly informed by accounts of Mozart, is just as lush as his vocal rendering. I'm so curious as to know what his process was for preparing for this role. Which books did he read? Etc. If only he were here with us today so I could interview him. :) Again, thank you for your comment, Debbi! Thank you for this article ! Interesting and full of enthusiasm, it was very nice to read it ! I also love Lemeshev and his performance in this opera is wonderful as usual, as is the one of Pirogov. Just one thing if I may, the singers only recorded the vocal part for this movie, and other actors played the characters on screen. 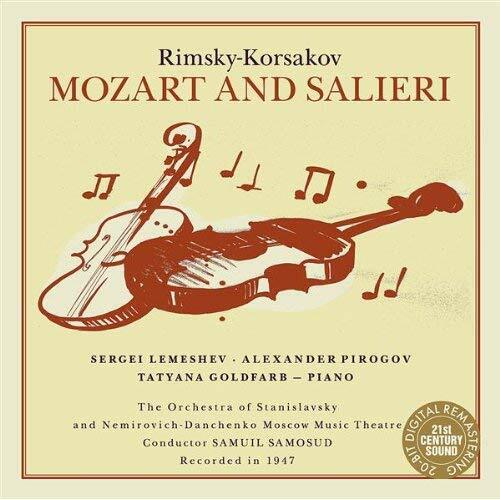 The one who plays Mozart is I. Smoktunovsky ; Salieri is P. Glebov. So Smoktunovsky is the one on the pictures you show, not Lemeshev. I agree with you anyway, that his portrayal of Mozart is full of life, and quite the way one tends to imagine Mozart himself. Thanks again for writing about this opera, and this great recording ! Ah! Thank you for making me aware of the identities of these talented men. I'm not familiar with Russian actors and singers of this era, and it was difficult for me to find sources anywhere about this performance, so I assumed the vocalists were also the actors. Thank you for sharing your knowledge and insight. It is tremendously appreciated! I'll be sure to make note of this in the article. It was indeed a keen decision to combine the gifts of these artists to personify the delicate likeness of Mozart! Nice post. It shows how rich could a literature be in terms of translation.Through translating shows the rich blend of knowledge and culture in a society.Whether in Russian translation or in any foreign language translation helps one to get acquainted with the thoughts, traditions, principles and actions of the people from the region. I agree with you, Julia. Thank you for your comment! Indeed, it's a beautiful exchange between cultures, and to me, this is the essence of Mozart. The power of his life and music to connect us globally is a marvel and has never ceased in its ability over the centuries.